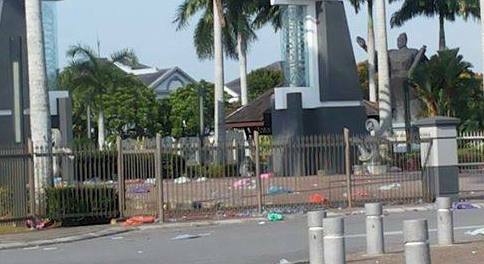 Netizens staying nearby Friendship Park in Kuching expressed their dismay over social media after celebrants of the Mid-Autumn Festival at the park left a huge pile of rubbish at the site. Some labeled those concerned as irresponsible, but some went further by calling the ‘uncivilized’. The Mid-Autumn Festival is a popular harvest festival celebrated by Chinese and Vietnamese people held on the 15th day of the eighth month in the Chinese calendar, during a full moon, which is in late September or early October in the Gregorian calendar.